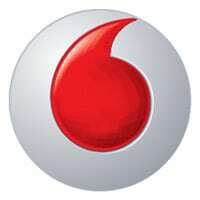 Vodafone Germany has launched its Vodafone SmartPass NFC mobile payment app in the city of Düsseldorf and plans to expand the service across the country during the first quarter of 2014. The news follows the commercial launch of the service in Spain last month. Rollouts are also due to take place in the Netherlands, UK and Italy in spring 2014. Customers need a certified NFC phone and an NFC-enabled SIM card. They can then charge purchases at any Visa contactless terminal to a prepaid Vodafone SmartPass account. Customers without an NFC phone can attach a SmartPass NFC sticker to their device. We have created the best possible conditions for ensuring that mobile payment can soon be entirely integrated into everyday life for everyone,” says Frank Vahldiek, director of consumer services and innovations at Vodafone Germany.